The implementation of evidence-based leadership is iterative. It’s too profound a shift to happen in one go. And it will never happen if we wait to thoroughly research our current state, detail a change management plan, save enough budget to resource it all, and delay until the time is just right and the planets have lined up. 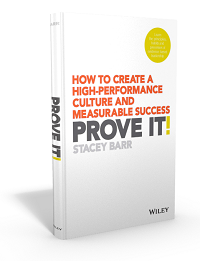 Starting evidence-based leadership at the top is the quickest and easiest way to get rolling on the journey of high performance, because employees follow what leaders do. It’s too risky for them to do otherwise. Even if leaders say over and over again ‘Start measuring what matters!’, nothing will change if they aren’t doing it themselves. Even when it starts from the top, the implementation of evidence-based practice across the organisation will follow iterations. It’s not going to happen in one fell swoop. With each iteration, it gets easier and smoother. And changes stick better. So don’t feel overwhelmed by the adoption of evidence-based leadership. Simply focus on the first iteration. Move through the stages, monitor how it works, and see how that informs your next iteration. There are five stages in the first iteration of implementing evidence-based management across the organisation. Stage 1: Decide to be evidence-based leaders. It’s worth having this conversation with your leadership team. And this is a conversation for the whole leadership team, not just part of it. It’s worth exploring the leadership habits of Direction, Evidence and Execution, and the organisational habits of Decision, Action and Learning (see this white paper). What do they mean to you? How do you see them practised? Where is there the opportunity to practise them more deliberately? Stage 2: Create a measurable corporate strategy. Goals are often immeasurable because of weasel words, an action-orientation, and multi-focused complexity. So goals should be reworded to make their true meaning much more apparent to everyone. This automatically makes them easier to measure. So choose quantitative measures from the evidence that most convinces you of each goal being achieved. And now you have a direction that’s easy to communicate, easy to understand, and easy to monitor. It’s easy to take seriously! Stage 3: Cascade the strategy. Emailing the strategic plan to everyone, or rolling out a series of presentations about it, isn’t going to get the level of buy-in that’s necessary to fully execute it. People need to be engaged in a discussion about the strategic plan, they need to ponder it, to ask questions, to challenge it, to explore how they contribute to it. Then they can make it their own. This needs communication that is: two-way, like a dialogue, unstructured to allow for exploration, and flexible so people can join in on their own terms. Stage 4: Let the cascade flow naturally. There’s a risk with adopting a new approach to cascading strategy and creating a performance culture. It’s to do too much too soon. Starting small with this stage is important to avoid overwhelming people, and burning them out. So start cascading your evidence-based strategy in small bites. One way is to allow teams to pilot-test the new approach to setting goals and measures. Then later they will have more confidence to implement it fully. Stage 5: Reflect and learn for the next iteration. Did you close your performance gaps? What was the return on the investment in doing that? What did you learn about the dynamics driving performance in your processes and systems? What did you learn from failed attempts to close the performance gaps? What did you learn about yourselves? 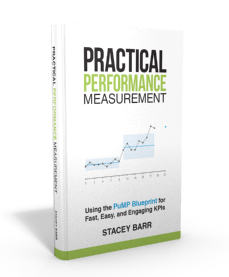 What is the next most important thing to focus on, to close your performance gaps further? These are the questions to ask at this point. Then tweak your approach for another iteration. Will you start evidence-based leadership? Mastery of something as complex as leading an organisation to true high performance doesn’t happen quickly. It’s hard, it’s challenging, and it’s a long road. But we need you on that road. What have you seen work well to instil evidence-based leadership in an organisation? It’s worth exploring the leadership habits of Direction, Evidence and Execution, and the organisational habits of Decision, Action and Learning. I want to get to the heart of the Leadership Habits and the organizational habits and the distinction between them. And, yes i know we here in the US don’t spell organisation correctly! I thought I had an article about the other three organisational habits, but I see now that I don’t yet!